My favorite place to eat lately has been the East Wing of Shangrila Mall. The choice of cuisine available in their new wing is so diverse and 99% of all the places I've tried there are delicious. Another one to add to my list is Watami. 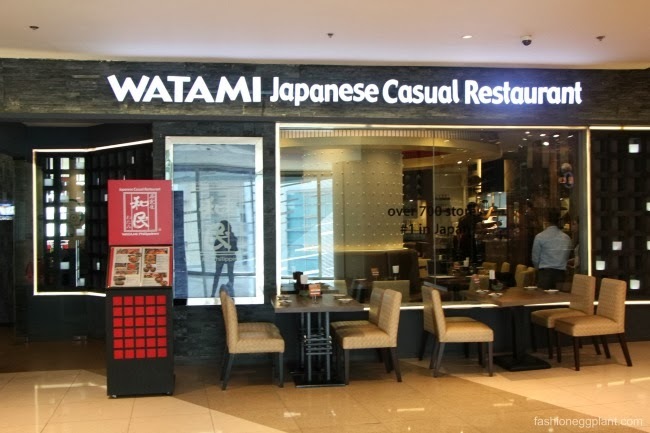 Watami is an internationally known Japanese Casual Restaurant with over 700 stores in Asia and currently #1 in Japan. Their menu boasts an assortment of dishes which range from the usual sushi and sashimi to the more creative and unusual like Clams Cooked in Stone Pot with Japanese-style sauce along with bestselling old favorites like Crispy Chicken Wings, Chasu Rice in Stone Pot, Pepper Beef Rice in Stone Pot, Gyoza On A Hot Pan, Self-grilled Short Ribs and Watami Salad. During my visit, I was able to try their Beef Hot Rice with Hot Spring Egg in Tokyo Style Set which comes with cold tea, miso soup and a side salad for only P295. The portion was very generous. Taste is similar to Gyudon but the tang of the finely chopped pickled radish gives a refreshing twist to the otherwise sweet dish. The sesame seeds also lend it a nice earthy flavor which is great for taking away the umay factor. For P295, their Self-grilled Short Ribs is a win. The beef used isn't melt in your mouth tender but good enough for the price. The sauce that comes with it is divine, make sure you ask for extra. Average price per plate at Watami Japanese Casual Restaurant is around P250. Not bad considering you're getting fresh, tasty and authentic Japanese food.